I'm looking for a recommendation for a 1-4x hunting scope. This is a woods gun, almost no chance of shooting further than 200 yards. I'm contemplating sticking to open sights, and the selection of low magnification scopes I've found during my own searching hasn't exactly dissuaded me. 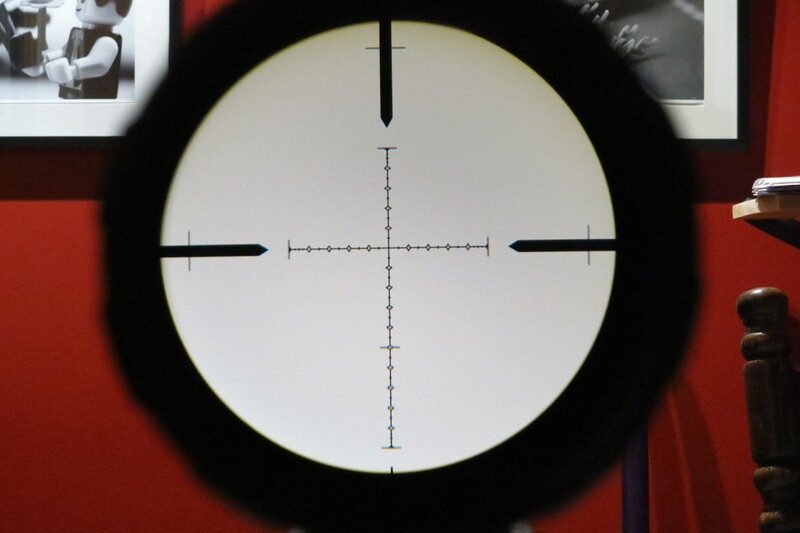 I prefer a #4 reticle, but I could be talked into another style of simple reticle. I don't particularly want an illuminated reticle. I'd like to stay under $800 and have a propensity for seeking best value rather than best overall. Rifle will be a 7lb or less lever gun. Exact model and caliber still tbd. Thanks koshkin. Last time I was looking at scopes (about 5 years ago) 5x erectors were still exhibiting some nasty traits at the ends of their ranges. I'm assuming, based on your recommendation, that these problems have mostly been overcome. I don't remember the details, but I do recall specifically choosing a ZA-3 over a ZA-5 based on your reviews and recommendations. Glad to see you're still contributing around here. Thanks again, I'll check out that vortex. True 2x is usually wide enough on the low end. Less is only really useful on very close running shots. Instead of regarding magnification as the criteria, we would be better off considering field of view and image size within the ocular. 1.5-6x40 is the classic answer, but 40mm can get a little high on a gun with a stock made for iron sights. I think the above Vortex is the modern version. A VX-R 2-7x with FireDot is another good match. I agree there isn't much value over $500 on a point and shoot deer scope; especially since you'll want to refresh after several years. 5x erectors are pretty mature now and the little Vortex is exceedingly well optimized. There's lots of choices. I'm just finishing up a master list of all illuminated variable 1X scopes. So far, 35+ brands, 125+ scopes, 200+ reticles. You might consider a prismatic red dot sight for your lever gun. Dead simple, long battery life, best both-eyes-open experience. What do you mean by a prismatic red dot sight? I guess I just mean a tube-style red dot sight, with an illuminated reticle, instead of a simple dot, to help with the hold for 200 yards. I'm a bit fuzzy on red dot sight terminology. I will go a very different direction: red dot at true 1X or a fixed 4X. For moving targets inside 200, nothing beats a relex red dot. If you want a bit of precision inside 200, a good fixed 4X is great. Typically, there is no prism in a red dot sight. The couple of exceptions are the compact models where the prism is between the illumination source and the reflector (Docter's Quicksight is like that as is one of the DI models). Tube-style reflex sights are not among them. For weapon sights, a prism sight is usually something like the ACOG or Elcan Specter, etc. There are some with 1x magnification, so they work quite well with both eyes open, but they are not reflex sights.